Jack Galmiche is president and chief executive officer of the Nine Network of Public Media. Jack is a native St. Louisan and returned to his hometown in November, 2006, from Portland, Oregon. Nine is among the most watched public television stations in the PBS system with one of the most highly rated audiences for full day viewing. Jack has focused the station's efforts around new forms of community engagement and expanded the reach of the station's programming and content through four local channels in the St. Louis market as well as new capabilities of digital distribution through the internet. The Nine Network's groundbreaking approach to community engagement has become a national model for public media and is being implemented in numerous community service initiatives, including American Graduate: Let's Make It Happen, a public media initiative being led locally and nationally by the Nine Network. Additional Nine Network initiatives address interrelated issues impacting the health and welfare of our young people and the community as a whole. Other initiatives related to sustainability, the arts, science and technology, entrepreneurship, and energy and the environment are based in ongoing partnerships established by the Nine Network with local organizations. A 5,500-square-foot digital media center known as the Nine Center for Public Engagement is producing new forms of digital media and online content. Additionally, Jack presided over the design and installation of the Public Media Commons open-air media plaza situated between the Nine Network and St. Louis Public Radio in Grand Center. 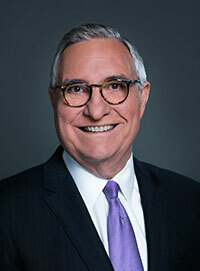 Prior to joining the Nine Network, Jack was executive vice president and chief operating officer of Oregon Public Broadcasting (OPB) where he managed the operations of a statewide network of public television and radio stations. Under Jack's leadership, OPB's National Television Production unit posted substantial gains, increasing national productions for public television from 30 hours to more than 200 hours, including the popular PBS series History Detectives.